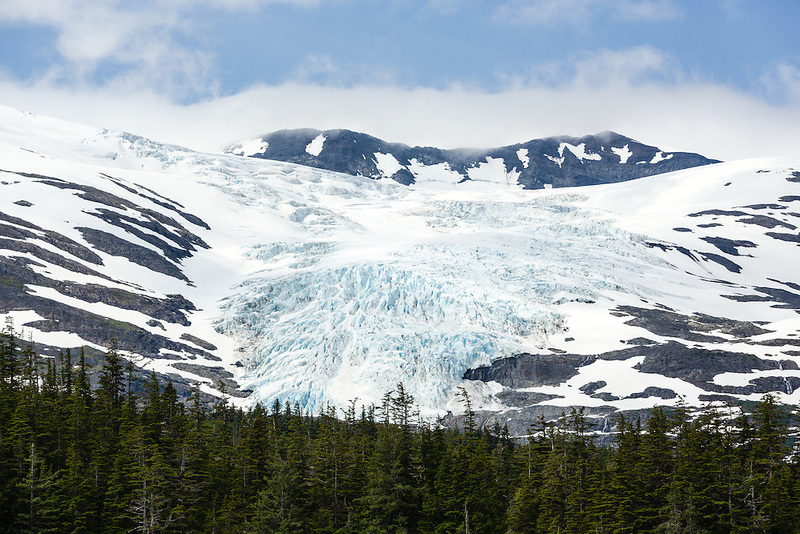 Spruce trees in the Chugach National Forest provide contrast to Concordia Glacier (piedmont) along Blackstone Bay near Whittier in Southcentral Alaska. Summer. Afternoon.